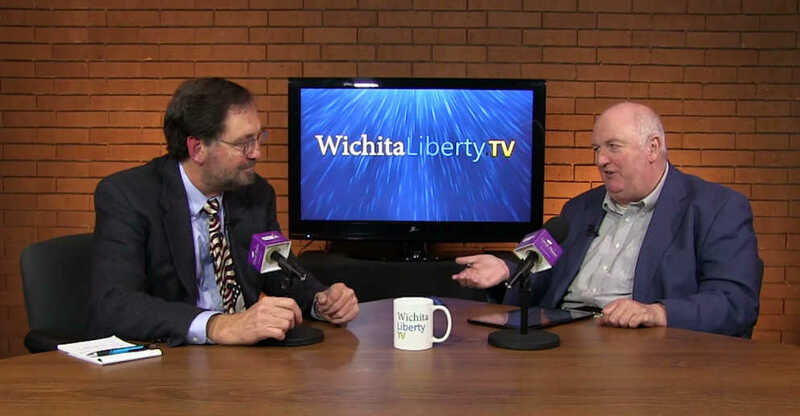 In this episode of WichitaLiberty.TV: Karl Peterjohn and Bob Weeks provide a preview of the congressional and gubernatorial election for the Wichita area in November 2018. View below, or click here to view at YouTube. Episode 216, broadcast November 4, 2018. 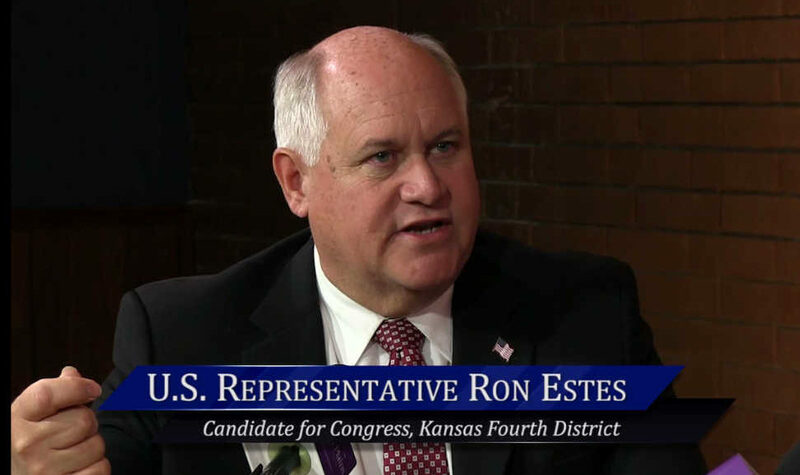 Candidate appearances on WichitaLiberty.TV: Ron Estes, James Thompson, Jeff Caldwell, Rick Kloos, Kris Kobach, and Greg Orman. Sedgwick County Commission: Richard Ranzau and Renee Duxler. 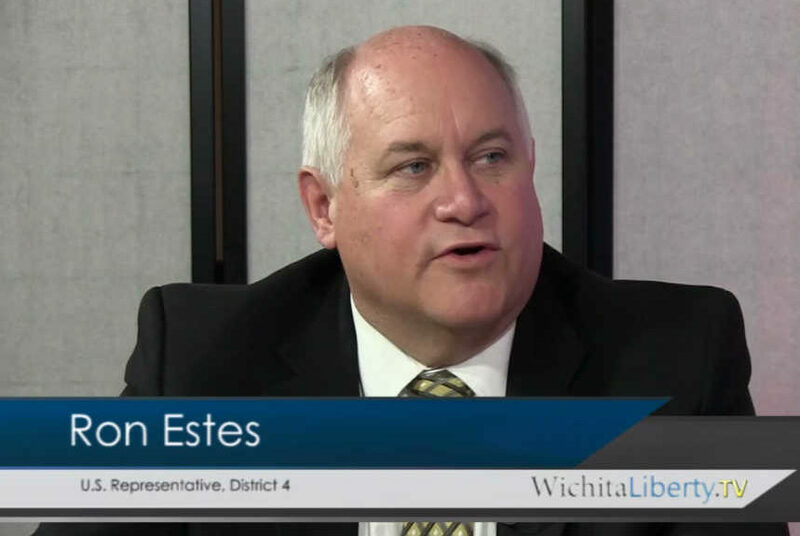 In this episode of WichitaLiberty.TV: Republican candidate for Congress Representative Ron Estes explains why he should continue to be our representative in the United States House of Representatives. View below, or click here to view at YouTube. Episode 214, broadcast October 21, 2018. 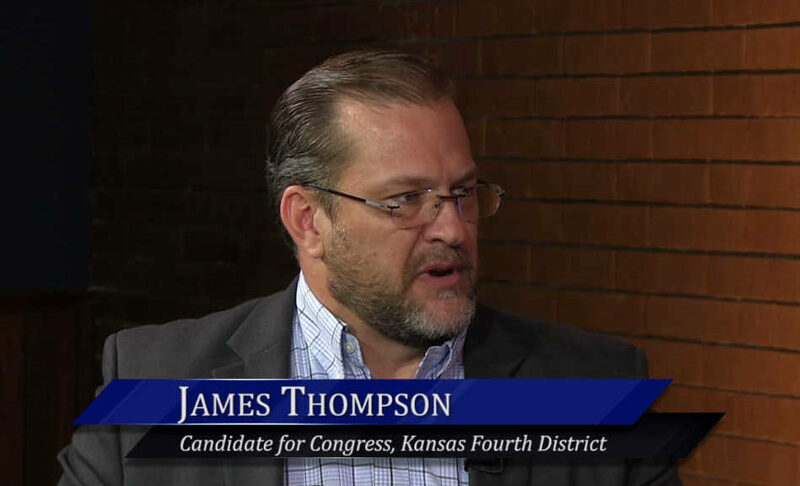 In this episode of WichitaLiberty.TV: Democratic Party candidate for Congress James Thompson explains why he should be our next representative in the United States House of Representatives. View below, or click here to view at YouTube. Episode 213, broadcast October 14, 2018. 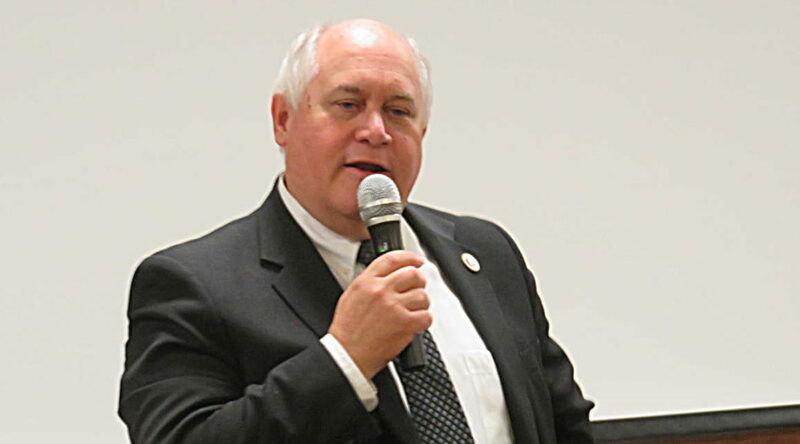 In this episode of WichitaLiberty.TV: United States Representative Ron Estes discusses trade, FAA reauthorization and his amendment, entitlement reform, and spending. View below, or click here to view at YouTube. Episode 195, broadcast May 5, 2018. 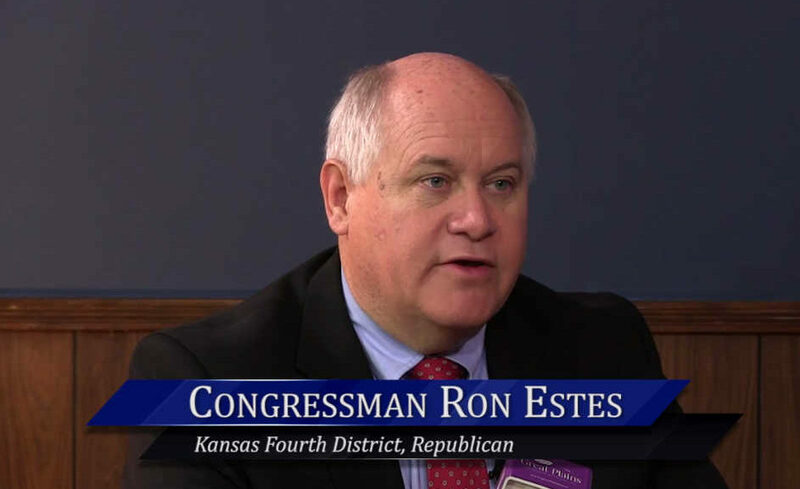 In this episode of WichitaLiberty.TV: United States Representative Ron Estes joins Bob Weeks to talk about the tax bill, his op-ed in the Wall Street Journal, and Susan Estes tells us what Mrs. Smith does when Mr. Smith goes to Washington. View below, or click here to view at YouTube. Episode 174, broadcast November 25, 2017. United States Representative Ron Estes speaking at the Park City Chamber of Commerce. Recorded August 30, 2017. 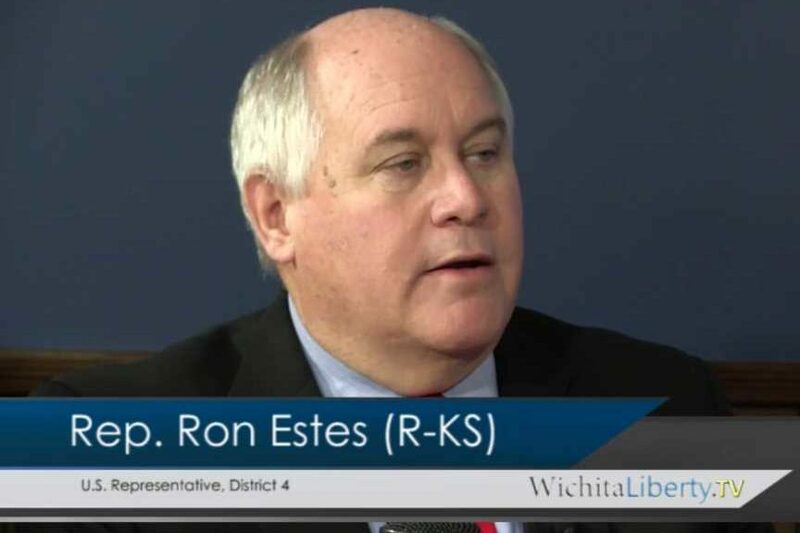 In this episode of WichitaLiberty.TV: United States Representative Ron Estes, a Republican from Wichita representing the fourth district of Kansas, joins hosts Bob Weeks and Karl Peterjohn to discuss the issues of the day. View below, or click here to view at YouTube. Episode 160, broadcast August 6, 2017. 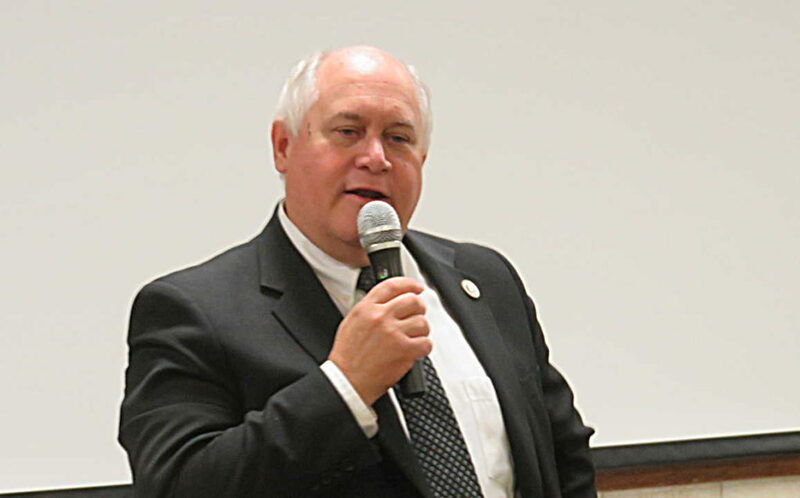 While it has become increasingly common for members of the U.S. Supreme Court to make news by public comments, particularly during their summer recess, Wichita Pachyderm Club members had the opportunity for Kansas federal district Judge Eric F. Melgren to quote from his judicial colleagues in a way of defending the Constitution’s concept of the separation of powers. Judge Melgren cited various appellate court rulings, particularly as they related to the largely little known Chevron decision, that damages that constitutional protection at his July 21 speech in Wichita. Judge Melgren, a former member of this club before his selection as the U.S. attorney for Kansas that was followed by his 2008 elevation to a federal district court post, began by discussing this governmental paradox, “those who favor (government) efficiency, or inefficient, representative government,” and he quoted from three appellate decisions as well as several of Madison’s Federalist papers to make this point. The founders feared tyrannical government and worried about this new government having too much power. That is the reason for the three separate branches where Congress writes the law, the executive branch administers the law, and the judiciary interprets it. This system of checks and balances make government very inefficient, and Melgren cited Madison’s Federalist 47. Judge Melgren followed by quoting Supreme Court Justice Clarence Thomas’s opinion in the Department of Transportation v. American Railroads case on this point. Our progressive law has now put the power of taking a general federal statute and having a federal agency basically write the rules and regulations that are then administered by the bureaucracy, and if a dispute arises, is then settled in the agencies own administrative law courts. Congress, often the executive, and unless extensive litigation occurs, the courts are all bypassed. The Chevron decision pushed these legal disputes away from the courts and back to bureaucratic resolutions. This creates an environment where the bureaucracy has assumed much of the law making powers, administers the law, and then has their own administrative courts to interpret it. In theory, the bureaucracy is part of the executive branch and reports to the president. However, as U.S. attorney Melgren was reminded by his staff that they would be there after he had left that office. This also applies to the rest of the federal government’s bureaucracy. To amplify upon this situation Melgren quoted from then federal appeals court judge Gorsuch in an immigration case that turned on the legal question of which conflicting rules from the government applied. The U.S. Supreme Court’s little known but legally controversial Chevron decision took this issue away from the federal courts and gave it to the professional bureaucracy. Gorsuch’s opinion was part of this 10th circuit (federal appellate court) case involving the U.S. justice department in 2016. Then President Obama’s rule making authority was at issue, that created this legal problem in the realm of federal administrative law making. This was also a problem in Thomas’ opinion in the railroad case. Justice Thomas warned about this dangerous trend. This amplified the warning Gorsuch bemoans in the weakening of the separation of powers in his appellate case. Thomas warned that too often we abrogated and allowed the power to make laws by administrative fiat. 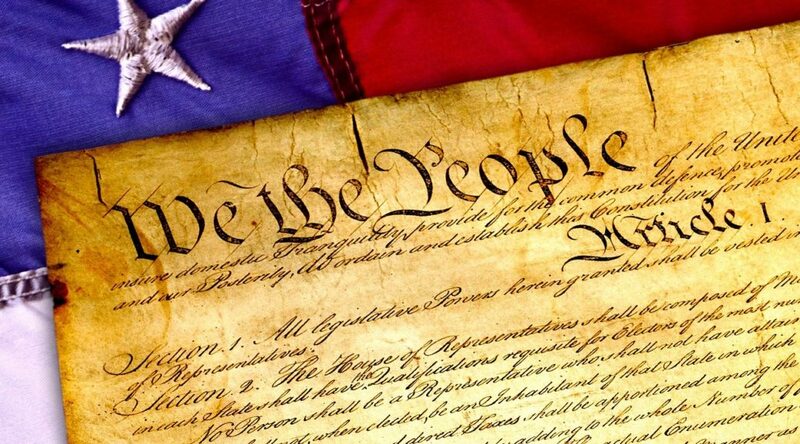 It might help make, as is often suggested, “make the trains run on time,” although Judge Melgren expressed serious doubts on this point there was no doubt about the cost to our Constitution, and the individual liberty it is supposed to protect. Judge Melgren spoke about the Chevron decision’s impact where the courts must defer to administrative agencies. “Apply the law as it is, and not how they wish it to be,” citing Gorsuch’s opinion, this means that the separation of powers is being totally undermined by the Chevron edict. The solution is: legislation. Law writing is arduous and difficult, but this is not a bug in the system, but this difficulty is a constitutional protection. This shift in power under Chevron would astonish the founders if they could see our current system as seen by the growth in the federal government in general. Judge Melgren pointed out that within the lifetime of some of the Pachyderm Club members the number of judges in the federal court system in Kansas had expanded from one in 1940 to six today, and that excludes a number of senior federal judges who have officially “retired,” but still on occasion hear about 1/3 of the total number of cases in the three federal courthouses (Wichita, Topeka, and K.C.) in Kansas. Melgren mentioned his late colleague Judge Brown, who was an appointee of President Kennedy and was still hearing cases while over 100 years old. Judge Brown passed away at the age of 104. Melgren readily acknowledged that the separation of powers was not absolute. The federal court system underneath the supreme court is created by congress. The close to 1,000 federal district and appellate judges operate nationally within an organization structure created by Congress. Melgren’s last case he quoted was from Kansas Supreme Court Justice Caleb Stegall’s opinion in the selection of district court judges, Sullivan v. Kansas. Stegall’s separation of powers argument cited Madison’s Federalist 51 concerning the concentration of power in any one government agency. Stegall applied the warnings over the separation of powers and the direction that state law has taken going back to Kansas Supreme Court cases granting additional administrative power going back to a 1976 ruling that involved the complexity created by the separation of powers. The separation of powers was a critical constitutional concept that is a key to protecting our liberties from government expansion. This cautionary litany of judicial rulings quoted by Judge Melgren served as a legal foundation concerning our Constitution and the separation of powers legal structure. The Chevron decision that weakens our liberty, and expands government’s powers, places a roadblock in the effort to preserve, protect and defend our liberty with this important constitutional protection of the separation of powers today. Video of this speech is available on YouTube. Click here. 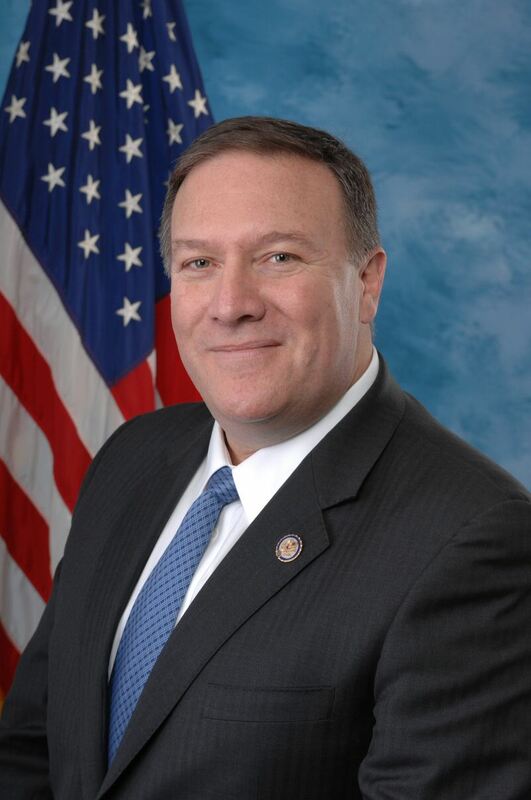 From the Wichita Pachyderm Club this week: A forum for Republican candidates vying to fill the vacant position of former Congressman Mike Pompeo, who is now Director of the Central Intelligence Agency. Ths program was moderated by Kelly Arnold, who is Chairman of the Kansas Republican Party. This program was recorded February 3, 2017. Republican delegates will meet to select their candidate on February 8. The election is April 11. 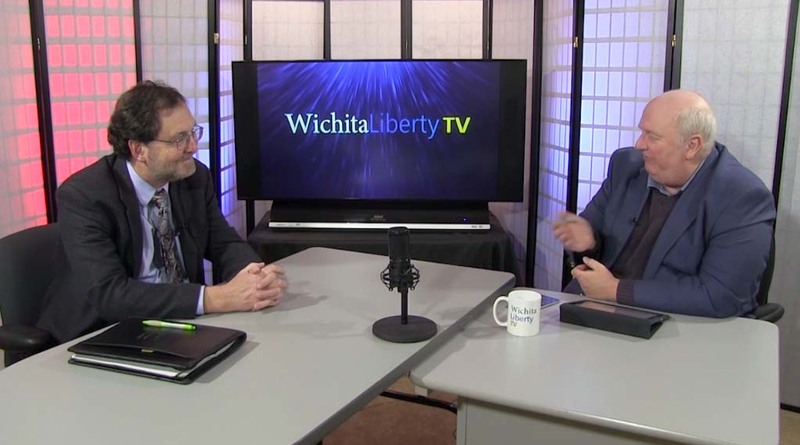 In this episode of WichitaLiberty.TV: Co-host Karl Peterjohn and Bob Weeks discuss technological progress, confirmation hearings, whether Kansas will trim spending or raise taxes, and Kansas fiscal nightmares. View below, or click here to view at YouTube. Episode 135, broadcast January 22, 2017. 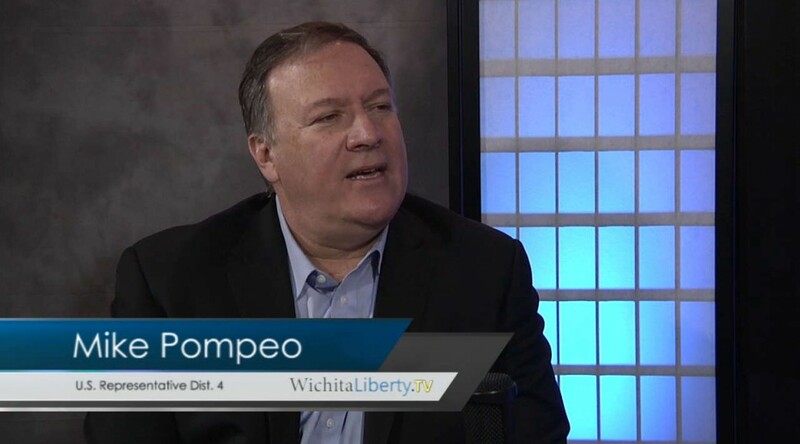 In this episode of WichitaLiberty.TV: United States Representative Mike Pompeo, a Wichita Republican who represents the Kansas fourth district. Topics include elections, judicial retention, foreign affairs, and immigration. View below, or click here to view at YouTube. Episode 132, broadcast November 6, 2016. From the Wichita Pachyderm Club: Congressman Mike Pompeo delivered an update on the issues of the day and answered questions. 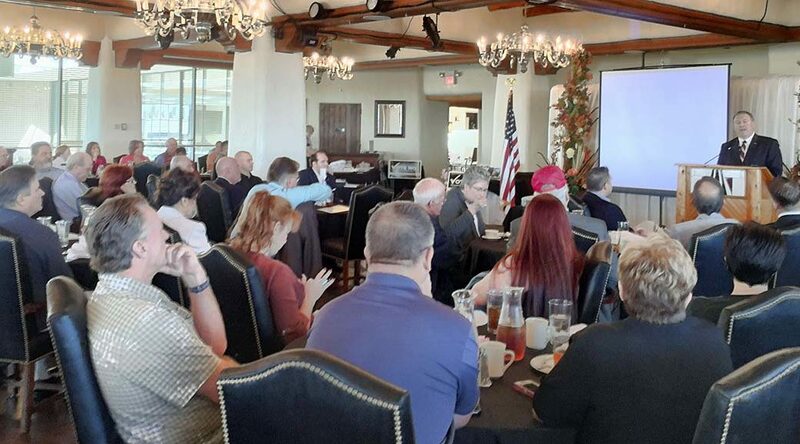 Over 100 Pachyderm Club members and guests attended. This audio presentation was recorded on October 21, 2016. Congressman Mike Pompeo at the Wichita Pachyderm Club. Attacks on Tim Huelskamp reveal the worst in political campaigning. When the campaign of Roger Marshall accuses Tim Huelskamp of being in favor of abortion, you know his campaign is spiraling out of control. Either that, or the Marshall campaign is deliberately lying about a politician’s record. Beyond this issue, the Marshall campaign and its surrogates are making arguments that simply have no basis in reality. An example is one radio ad, placed by an independent spending group, that uses the term “Washing-Tim.” The ad tries to persuade voters that Huelskamp has sold out to the Washington establishment. 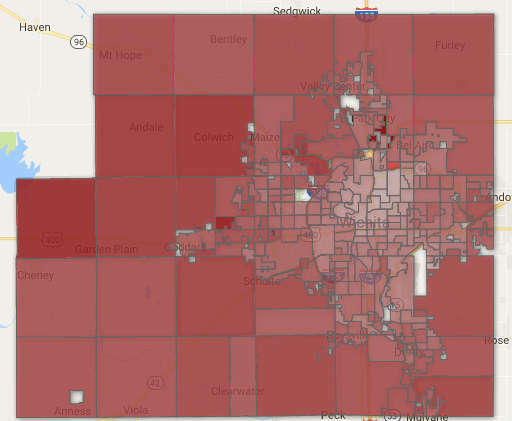 That is a true whopper, as Huelskamp has been anything but an establishment crony. As an example, Huelskamp opposed the reauthorization of the Export-Import Bank last year. This is an issue that draws a bright line, with progressive Democrats and left-wing Republicans on one side, and free-market, limited government conservatives on the other. The issue truly and precisely sorts politicians into two groups, and Huelskamp is on the right side of this issue. Which is to say, the non-establishment side. Yet, we get “Washing-Tim” from Marshall supporters. Part of the problem is that officeholders in legislatures, both state and federal, must often vote on bills that contain hundreds of provisions. This bundling of so many often disparate issues into one vote allows unscrupulous campaigns to label someone as a supporter of an issue. That’s what the Marshall campaign and its surrogates are doing. I don’t know who is behind [the ESAFund], I’ve heard different rumors about it, but Mr. Singer and the Ricketts family have been good partners of ours in the past and in the present as well. I totally am mystified by Ending Spending and their point of view. I just wonder who could be better [than Huelskamp] on the issues that a group like Ending Spending, I mean their whole name … who could be better on these issues than Tim Huelskamp? If you believe in fiscal responsibility, fiscal conservatism, the proper role of government, particularly on these economic issues that I’m talking about and that our network is focused on; we don’t know of anyone who’s better than Tim Huelskamp. Huelskamp’s free-market bona fides are buttressed by his lifetime ratings with groups that focus on fiscal conservatism. Club for Growth rates Huelskamp at 100 percent lifetime. Americans for Prosperity scores him at 98 percent. During election season, especially in close campaigns, we’re accustomed to seeing campaigns paint opponents in unflattering light. The Roger Marshall campaign and its surrogates, however, may be establishing a new standard for deceptive behavior and outright lies. 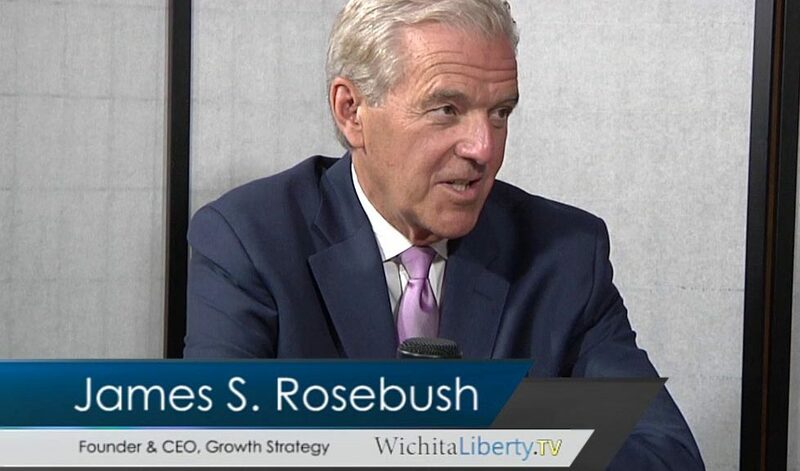 James S. Rosebush worked in the White House as assistant to President Ronald Reagan. He’s written a book about Reagan titled True Reagan: What Made Ronald Reagan Great and Why It Matters. During his visit to Wichita, he stopped by the WichitaLiberty.TV studios. View our discussion below, or click here to view at YouTube. Episode 123, broadcast June 26, 2016. The political left’s campaign to silence opponents and reorder society in accordance with their personal beliefs is in many ways the single greatest threat to America’s experiment in self-governance, writes Mark Holden. By Mark Holden. Originally published in The Hill. Yet many lawmakers today are mistaking his wise warning as an invitation to restrict the First Amendment. At nearly every level of government, freedom of speech is under unprecedented attack. Many on the political left now seek to silence their opponents and reorder society in accordance with their personal beliefs. This is in many ways the single greatest threat to America’s experiment in self-governance. This coordinated campaign has been underway for years. Its creation can be traced to the Supreme Court’s 2010 decision in Citizens United v. Federal Election Commission, when the court refused to accept the Obama administration’s argument that it could ban books, mailers, advertisements or anything else that contained a political message during an election campaign. This simple ruling ensured that Americans retained the fundamental right to use free speech to praise or criticize a candidate running for office. However, that is the very core of free speech itself. If Americans — individually or acting together through nonprofits, businesses or labor unions — cannot voice their views on public policy and elected officials, then the democratic process as we know it is dead. The result is a system that makes those already in power even more powerful; incumbents need not fear having those pesky voters learn about their statements, views and voting records. In fact, liberal politicians and activists swiftly made opposition to Citizens United a defining part of their platform from the moment the Supreme Court issued its decision. By 2014, no fewer than 54 U.S. Senators — all Democrats or Democratic allies such as current presidential candidate Sen. Bernie Sanders (Vt.) — supported a constitutional amendment essentially rewriting the First Amendment so that the federal government could regulate and criminalize free speech. Congressional Democrats are once again preparing to make a push to roll back the court’s decision and stifle free speech. Not to be outdone, leading Democratic presidential candidate Hillary Clinton has declared that she would only appoint judges who promise to overturn Citizens United and permit the censorship of political speech. At the same time, lawmakers and their allies have found other ways to stifle their opponents’ speech. Americans learned in 2013 that the IRS had systematically singled out conservative nonprofits in the build-up to the 2012 election. The agency harassed many applicants and kneecapped others by refusing to grant them tax-exempt status, restricting their members and supporters from exercising their rights to free speech and free association. Sadly, this abuse of power still occurs. The federal courts recently learned that multiple nonprofits still haven’t received IRS approval. Even more attacks on free speech are happening at the state level. For example, New York and California are both demanding that some nonprofits hand over lists of donors to the state. Although the government invariably promises to not release this legally confidential information, California has “accidentally” posted at least 1,400 supporter lists online. This fact, and ongoing harassment by California Attorney General Kamala Harris, led a federal judge to permanently stop her from obtaining the donor list of one organization, the Americans for Prosperity Foundation. (Full disclosure: I am a director of the related Americans for Prosperity.) However, the IRS has done something similar, conveniently disclosing confidential taxpayer information for several of the Obama administration’s political opponents. And then there are the demands that government investigate organizations that hold unpopular or controversial views. Over a dozen state attorneys general (all of them Democrats), recently announced that they will go after companies such as Exxon Mobil that disagree with their views on climate change. The prosecutors’ goal is to intimidate these groups to change their position or else face criminal prosecution. Federal lawmakers are in on the action, too. 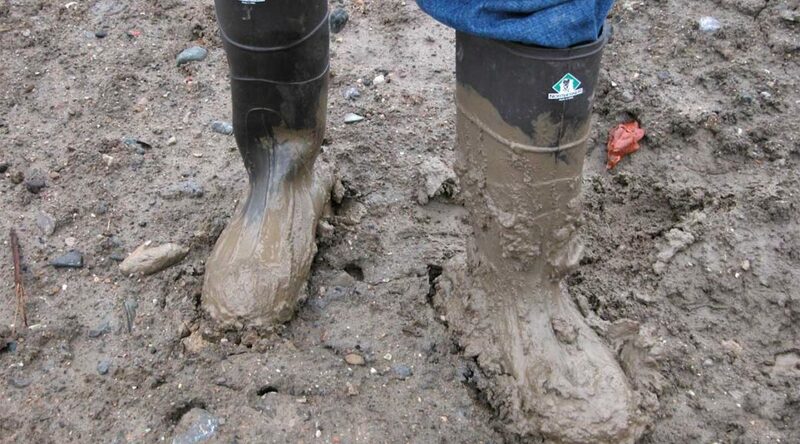 The Department of Justice has asked the FBI to begin similar investigations of major energy companies. Sen. Sheldon Whitehouse (D-R.I.) has even called for organizations that disagree with him to be prosecuted under the federal law banning racketeering — a law originally meant to target mobsters and drug kingpins. This coordinated campaign is antithetical to the First Amendment’s guarantee of free speech. In our system of self-government, when someone finds other people’s ideas and opinions disagreeable or even reprehensible, the solution is more speech, not less. Yet instead of persuading others to see their point of view, many in today’s society would rather use government’s power to bully their opponents into silence instead. Thankfully, Senate Majority Leader Mitch McConnell (R-Ky.) and House Speaker Paul Ryan (R-Wis.) have tried to combat this assault on free speech. They have championed a number of reforms to protect the First Amendment and prevent elected officials and the administrative state from stifling Americans’ right to free speech. Their leadership should be praised, but much more needs to be done. This fundamental right won’t truly be protected until Americans of all political persuasions heed Justice Holmes’s wise words. 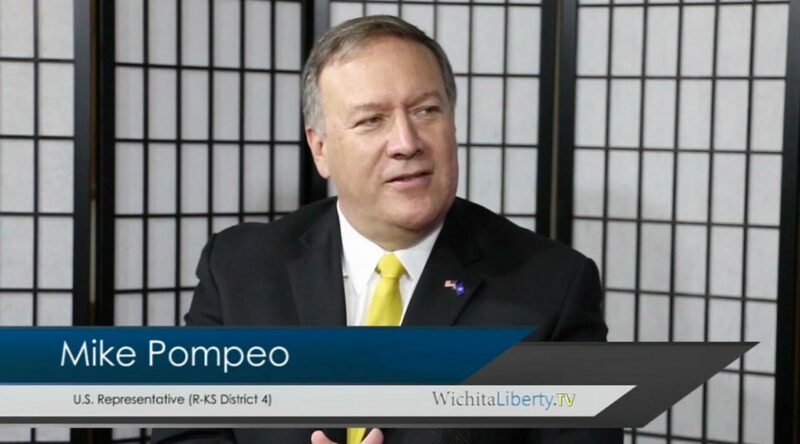 In this episode of WichitaLiberty.TV: Congressman Mike Pompeo talks about the Middle East, politics in Washington, and domestic issues. View below, or click here to view in high definition at YouTube. Episode 101, broadcast November 29, 2015. 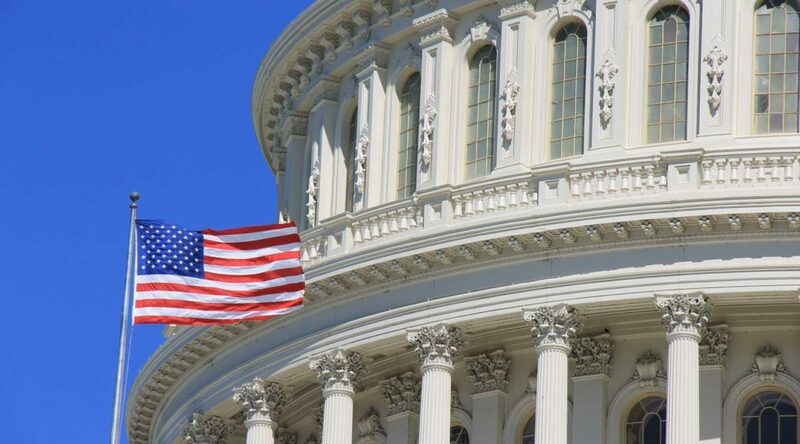 Last week members of the United States House of Representatives successfully executed a maneuver that will force a vote on the reauthorization of the Export-Import Bank of the United States. The method used, a discharge petition, was signed by well over a majority of House members, including perhaps 42 Republicans. If the petition signers vote the same way, the bill to reauthorize the Ex-Im Bank will pass the House. It will then move to the Senate for consideration. No members of the House of Representatives from Kansas signed the discharge petition. 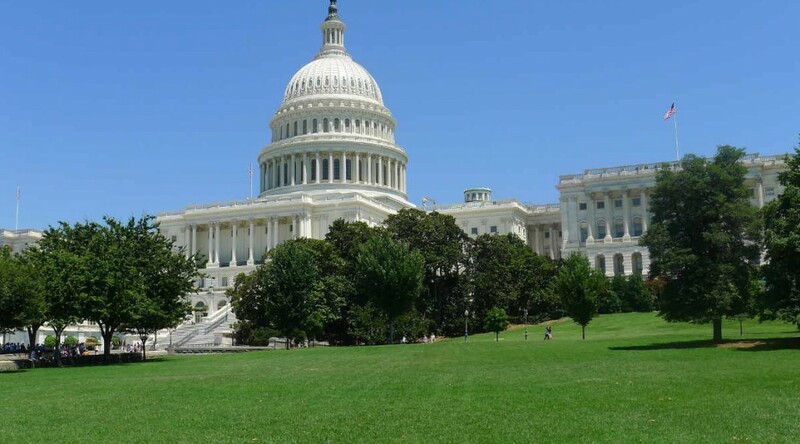 In July a vote on an amendment in favor of the Ex-Im Bank passed with 67 votes, including votes from both Kansas Senators Pat Roberts and Jerry Moran. Wichita governmental agencies favor the Export-Import Bank. Members are right to be frustrated with this attempt to sidestep regular order, especially to revive a defunct institution that represents the worst of Beltway crony capitalism. It’s unfortunate that some are determined not to take even a modest step toward restoring free markets or getting out of the business of special interest deals. Signing this discharge petition is an attempt to bring an inherently corrupt institution back from the dead, and it means siding with corporate lobbyists over taxpayers. Abandoning free-market principles is wrong, but trying to do it with a procedural gimmick just adds insult to injury. This July, an 80-year-old corporate welfare program known as the U.S. Export-Import Bank was allowed to expire for the first time since its inception. Created by FDR as part of his New Deal, the bank offers taxpayer-backed loan guarantees to companies unable to secure independent financing — in other words, loans too risky for private investors to be willing to finance. It’s cynical in the extreme for politicians to try to sneak this corporate handout past the voters, and anyone who supports the reauthorization should be ashamed of themselves. FreedomWorks has preemptively issued a Key Vote NO on any bill to reauthorize the Ex-Im Bank, and will count those votes on our legislative scorecard. Heritage Foundation has an excellent discussion of the issues at Export–Import Bank: Propaganda versus the Facts. 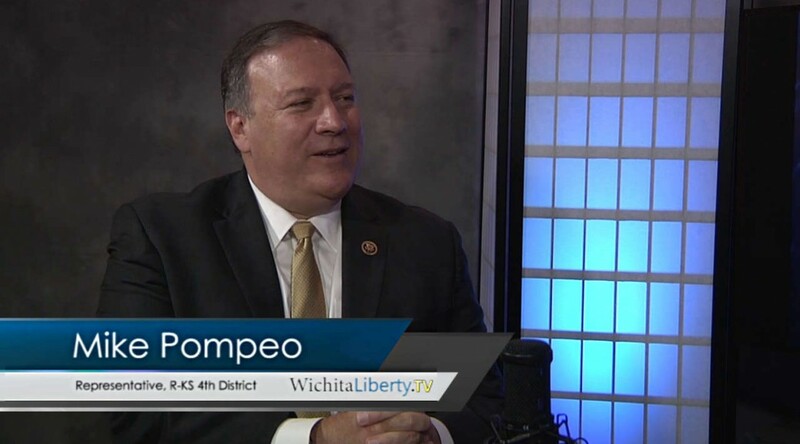 In this episode of WichitaLiberty.TV: Congressman Mike Pompeo talks about passing legislation like the Safe and Accurate Food Labeling Act, the Iran nuclear deal and his role in discovering the secret side deals, and other topics. View below, or click here to view at YouTube. Episode 94, broadcast August 30, 2015. For those of us who are elected officials, few votes will be more consequential than whether to approve or disapprove the nuclear agreement President Obama has reached with Iran. Yet the president expects Congress to cast this vote without the administration’s fully disclosing the contents of the deal to the American people, write Representative Mike Pompeo and Senator Tom Cotton. For those of us who are elected officials, few votes will be more consequential than whether to approve or disapprove the nuclear agreement President Obama has reached with Iran. Yet the president expects Congress to cast this vote without the administration’s fully disclosing the contents of the deal to the American people. This is unacceptable and plainly violates the Iran Nuclear Agreement Review Act — a law the president signed only weeks ago. During a recent trip to Vienna to meet with the International Atomic Energy Agency, the organization charged with verifying Iran’s compliance, we learned that certain elements of this deal are — and will remain — secret. According to the IAEA, those involved with the negotiations, including the Obama administration, agreed to allow Iran to forge the secret side deals with the IAEA on two issues. The first governs the IAEA’s inspection of the Parchin military complex, the facility long suspected as the site of Iran’s long-range ballistic-missile and nuclear-weapons development. The second addresses what — if anything — Iran will be required to disclose about the past military dimensions of its nuclear program. Yet the Iran Nuclear Agreement Review Act specifically says that Congress must receive all nuclear agreement documents, including any related to agreements “entered into or made between Iran and any other parties.” It expressly includes “side agreements.” This requirement is not strictly limited to agreements to which the U.S. is a signatory. This law passed in May, well before the nuclear negotiations ended. The Obama administration should have held firm in negotiations to obtain what was necessary for Congress to review the agreement. Iran, not the U.S., should have conceded on this point. Weaponization lies at the heart of our dispute with Iran and is central to determining whether this deal is acceptable. Inspections of Parchin are necessary to ensure that Iran is adhering to its end of the agreement. Without knowing this baseline, inspectors cannot properly evaluate Iran’s compliance. It’s like beginning a diet without knowing your starting weight. That the administration would accept side agreements on these critical issues — and ask the U.S. Congress to do the same — is irresponsible. The response from the administration to questions about the side deals has brought little reassurance. At first the administration refrained from acknowledging their existence. Unable to sustain that position, National Security Adviser Susan Rice said on July 22 during a White House press briefing that the administration “knows” the “content” of the arrangements and would brief Congress on it. Yet the same day Secretary of State John Kerry, in a closed-door briefing with members of Congress, said he had not read the side deals. And on July 29 when pressed in a Senate hearing, Mr. Kerry admitted that a member of his negotiating team “may” have read the arrangements but he was not sure. A game of nuclear telephone and hearsay is simply not good enough, not for a decision as grave as this one. The Iran Nuclear Agreement Review Act says Congress must have full access to all nuclear — agreement documents — not unverifiable accounts from Ms. Sherman or others of what may or may not be in the secret side deals. How else can Congress, in good conscience, vote on the overall deal? On July 30 we sent a letter to the Obama administration asking for a “complete and thorough assessment of the separate arrangements” and the names of anyone who has reviewed them. Iran’s ayatollahs have access to the side agreements. The American people’s representatives in the U.S. Congress should too. When he announced his nuclear deal with Iran on July 14, President Obama said, “This deal is not built on trust, it is built on verification.” Those words are hollow unless Congress receives the full text of all documents related to the nuclear agreement. Mr. Cotton, a Republican from Arkansas, is a member of the Senate Select Committee on Intelligence. 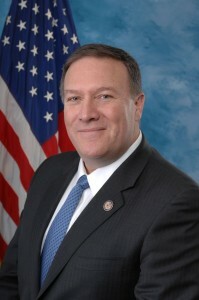 Mr. Pompeo, a Republican from Kansas, is a member of the House Permanent Select Committee on Intelligence.